➤ ➤ABOUT SIZE ➤➤ Our size is not Amazon / US size but ASIAN SIZE, which is ONE SIZE SMALLER than US's. (eg:The dress of size "M" you will order corresponds to size "S" in US). Before ordering please refer to ♥IMAGE SIZE CHART♥carefully! 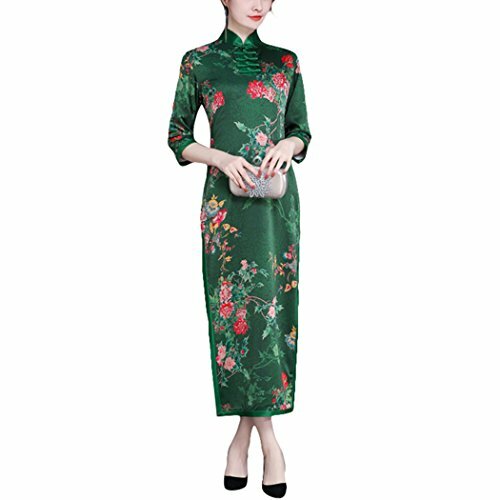 ♥ ELEGANT & FASHION: Especially unique and elegant dress,with distinctive version and pattern decorated.It will never out of date. ♥ SOFT FABRIC : Cozy and breathable fabric,gives you smooth wearing experience.Fit for summer,autumn,spring. ♥ OCCASION: Suitable for daily /casual wear;Perfect for banquet /holiday /party /birthday /wedding /meeting,etc.